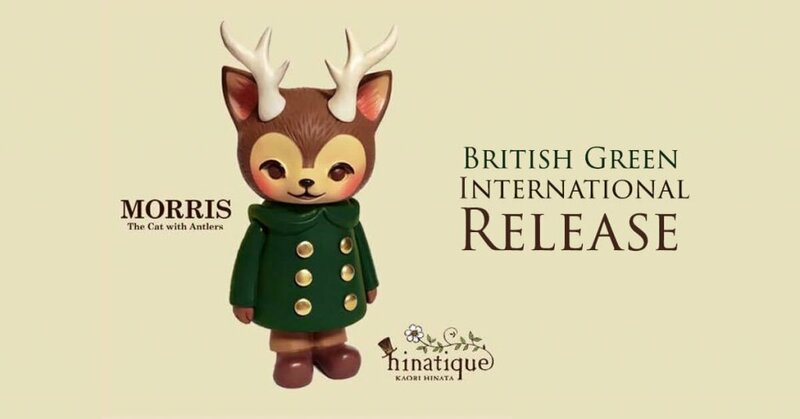 Back in January MORRIS British Green Coat edition by the wonderful Kaori Hinata Hinatique made its way for an International release but obviously selling out quick time. Once again collectors were left with tears but today we have found out that a retailer has a handful of them in stock! A sign of relief as its made it one step closer to owning this version without having to pay aftermarket prices. The British Green Coat Edition is one of the standard Morris colorways – as you may know Morris wears a green coat in my picture book. After meeting Kaori Hinata at ToyCon UK made owning a Morris even more special! LIMITED Edition 150 pieces of MORRIS – British Green Coat Edition. Please note: Kaori Hinata is planning to sell MORRIS – British Green Coat Edition regularly, so even if you miss out this time you’ll have another chance in the future.